One of the great benefits of living in Vermont is enjoying all the fruits of New England. Until moving here, that simply meant lobster rolls and local craft beer, two things I love! But hanging around, traveling across some of the other states, I’ve come across some neat finds. 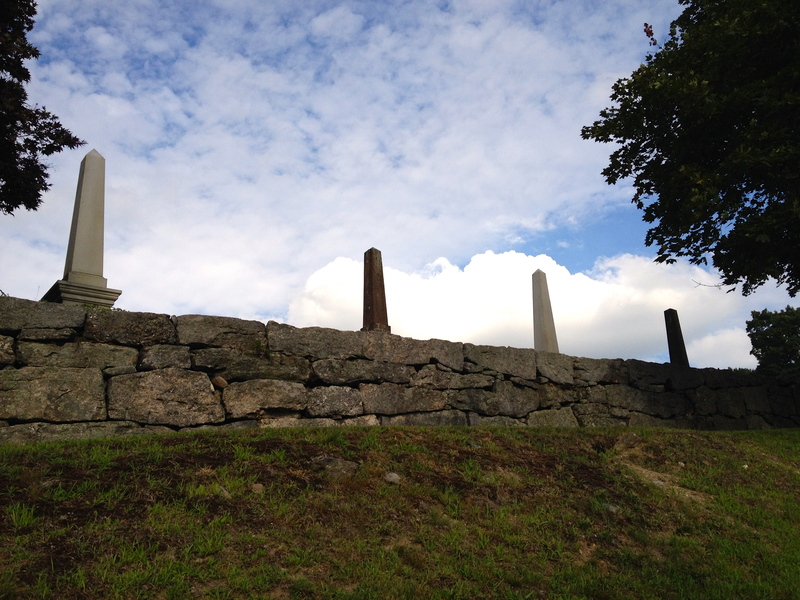 During a particularly tough time both in my personal life and for the nation, as death just seems to be everywhere lately, I found various forms of peace at each New England destination I visited. I’d like to share those places with you now. 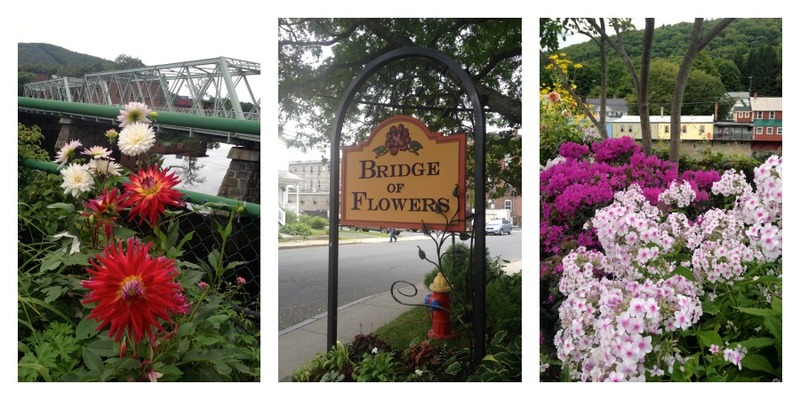 On my way to Connecticut with a friend, we stopped at a popular Massachusetts attraction, the Bridge of Flowers in Shelburne Falls. It was exactly what it sounds like, a walking bridge covered in a massive garden with over a hundred different kinds of flowers and plants to view and learn about. The bridge is made possible by a local non-profit group of gardeners, The Bridge of Flowers Committee. Built in 1908, the bridge was originally used by the Shelburne Falls Trolley to help deliver heavy freight, as well as transport passengers and local goods, such as milk. After the invention of the automobile, however, the railway company that built it went bankrupt in 1927, and the bridge that was once known as a social and commercial connection for the residents was reduced to an eyesore overgrown with weeds. The idea for what would become the Bridge of Flowers was envisioned at first by a tired, busy housewife in 1928. Striving to care for her family after her husband had become an invalid, Antoinette Burnham had the idea of transforming the old trolley bridge into something beautiful, something that residents could enjoy on an afternoon walk. In support of his wife’s vision, Mr. Burnham wrote an article to the local newspaper that sparked the whole thing into motion. In 1928, the Shelburne Falls Fire District purchased the bridge for $1,250 and in 1929, the Shelburne Falls Women’s Club organized donations of $1000, 80 loads of loam, and several loads of fertilizer to put together what is now The Bridge of Flowers. It was obvious to me, as dozens of people were walking this bridge on a casual Thursday afternoon, that it remains a prized gem to the residents of Shelburne Falls. While the bridge very obviously invoked a feeling of peace within all who walked it, I found much more of my own inner peace searching for ghosts in Connecticut. Wandering through Watertown, Connecticut was as creepy as The Bridge of Flowers was beautiful. And I don’t mean that in a negative way, I love me a good haunting. Apparently, Connecticut is one of the most haunted states in the country. When I found this out, I was all over it. So what did I demand of my friend and tour guide of Watertown? That we go to a graveyard, immediately. 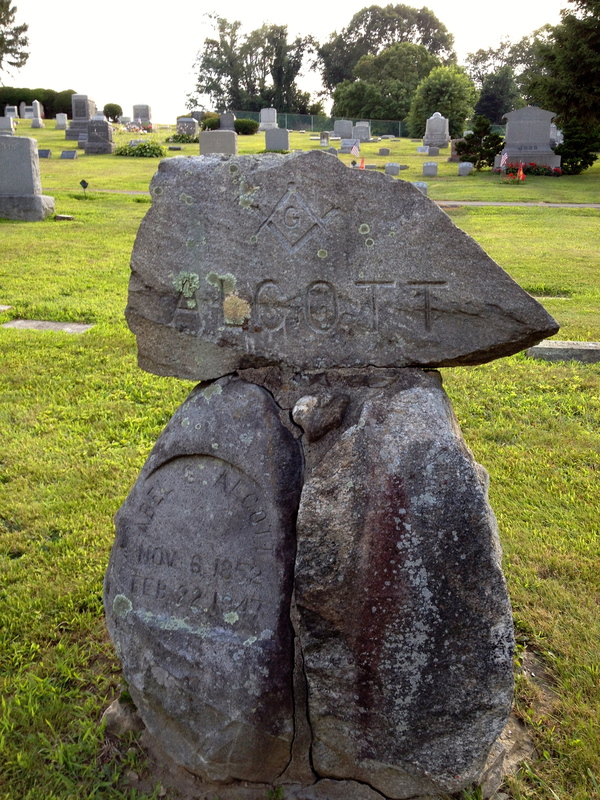 But before we could even get to the cemetery, however, we came across something that to me felt way more haunted. 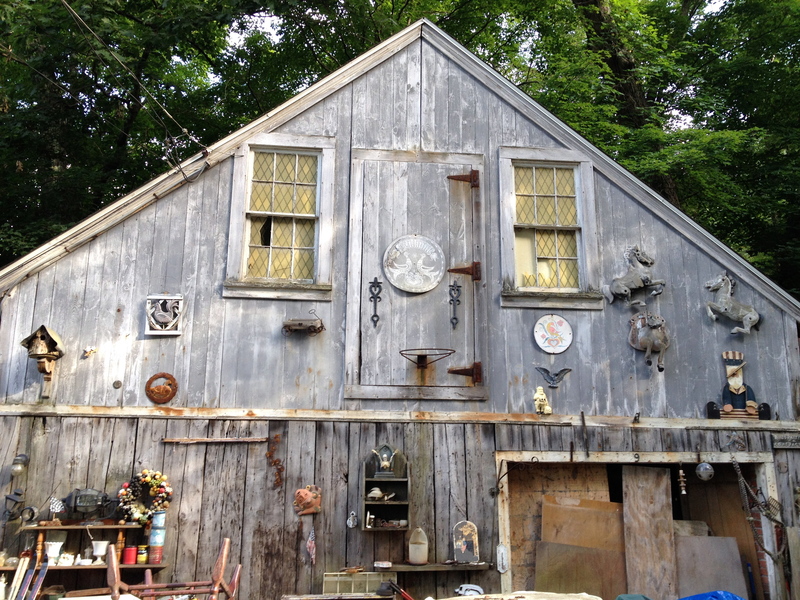 Below is a picture I snapped of what appears to be an artist’s outdoor workshop. 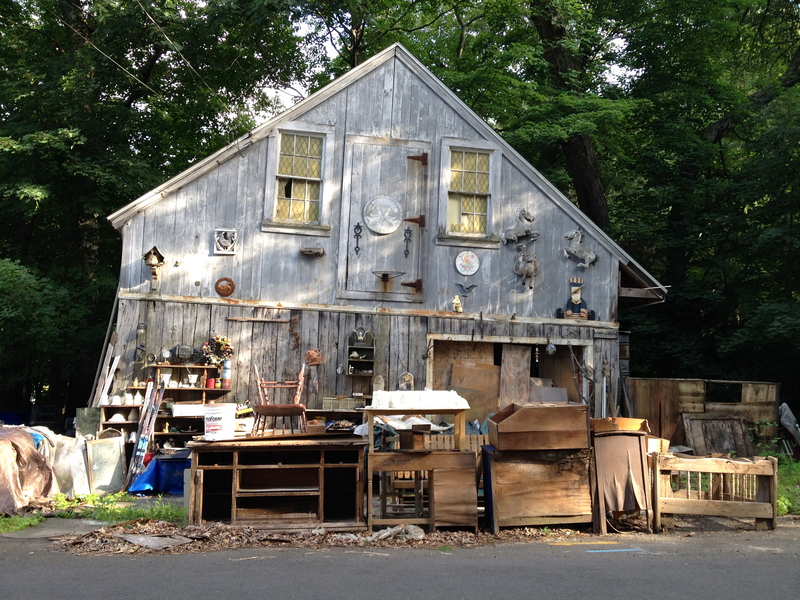 That’s what I thought, at least, only to discover that it actually belonged to a hoarding neighbor. The cluttered shed of miscellaneous abandoned objects actually fascinated me in the way The Little Mermaid Ariel probably felt about her little cave of treasures (that mermaid was totally a hoarder, by the way). But learning the truth about what it was gave me chills, as though I was looking upon the physical manifestation of a torturing mental illness. Very eerie. The cemetery we visited was actually quite beautiful. Regarding the instances of death and illness that have been so present for me the last two months, both in the media and my personal life, this walk through the Watertown cemetery brought me a sense of peace. Sometimes it’s important to get a close look at death, to read the tombstones of people who have been buried for over a hundred years and feel the earth a little more firmly beneath your feet, the breeze a little more cool against your skin, and be thankful for your presence in your own living body right here, right now. On that note, enjoy your weekend and all the other blessings of your life.